Is she coming home to a long-lost love? Or ruminating about even coming back home? 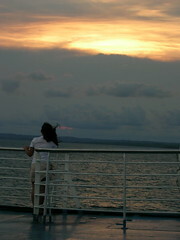 Scene from the Superferry 5 trip to Cagayan de Oro.